The Lincoln Memorial is one of the grandest and most distinctive of Washington's monuments. Anchoring the western end of the National Mall and framed by the Reflecting Pool, it's an outsized tribute to an American president who played an outsized role in America's history: Abraham Lincoln. Its classical columns frame a large statue of a seated Lincoln gazing out towards the Capitol Building at the opposite end of the Mall. The purpose of the impressive structure is to house a 175-ton statue of a seated Abraham Lincoln, the 16th American president, as he gazes eastward over the Reflecting Pool, past the Washington Monument, to the US Capitol Building. The best way to get to the Lincoln Memorial is by Metro. The closest stops are Foggy Bottom (0.8 miles) (Orange and Blue lines), Smithsonian (1.1. miles) (Orange line), Arlington National Cemetery (0.9 miles) (Blue line), or Federal Triangle (1.4 miles) (Orange line). Metro has a handy Trip Planner and here's a map of the Metro lines. There isn't any parking immediately next to the Lincoln Memorial (except for tourist buses). Depending on time of day and how busy it is, it might be possible to find parking along Constitution Avenue, but make careful note of the signs to make sure you don't get towed. 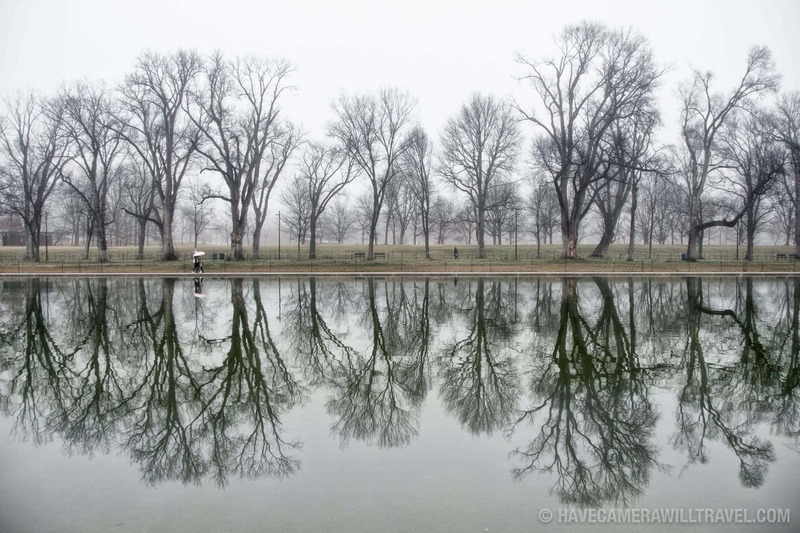 There's often free parking along Hains Point, but that's first-come-first-served, and you might end up with a long walk back to your car during the busy tourist season. And be warned that the roads around the Lincoln Memorial can be confusing; it's very easy to end up across the river in Arlington before you know it. If you're coming from the Arlington side, another good option is to park at Arlington National Cemetery (check hours and parking fees) and walk across Memorial Bridge. There are no entrance fees, reservations, or tickets and no lines except very rarely for the small exhibit under the building (which is mostly because that's where the restrooms are). The Lincoln Memorial is one of my favorite places to take photos in DC. With the exception of restrictions on tripods within the building and on the steps, the Lincoln Memorial is very photographer-friendly. There's no problem using flash. The Lincoln Memorial gets a lot of tourist traffic (check out the video below to see what I what mean), so count on there being a lot of people there unless you're going very early or very late. It's a popular post-dinner stop for the many school groups that visit Washington, so it can be busy quite late into the evening. 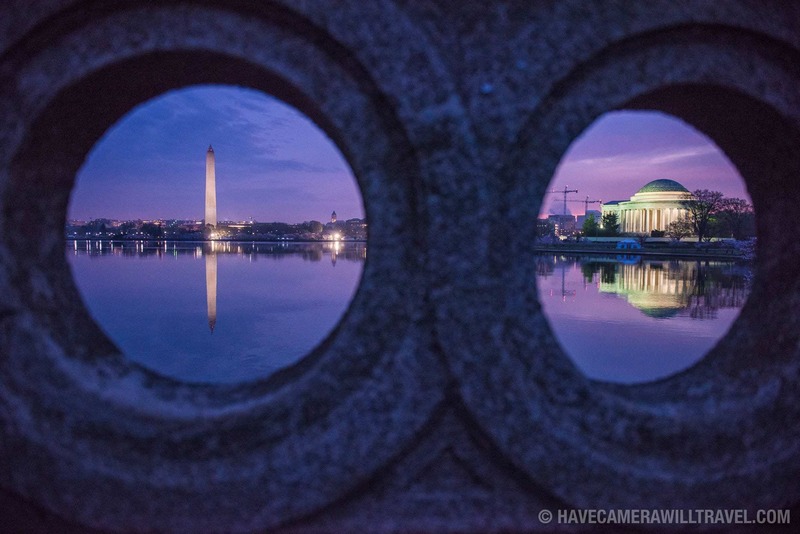 If you're looking to minimize the number of people in your shots, the best time to go is before dawn. The Lincoln Memorial is open around the clock, so you never really have to worry about it being closed. No tickets or reservations are required. The interior of the memorial isn't especially bright, so a good off-camera flash is useful at night. The exterior lights illuminate the building all night and provide plenty of dramatic lighting for night shots. You can use tripods in the areas surrounding the main structure, but security guards will descend on you quickly if you try to use them inside or on the steps. And truth be told, it's an entirely sensible safety precaution--the memorial is often crowded, and someone tripping on a tripod leg could be serious with the combination of hard marble and high stairs. What does the Lincoln Memorial stand for? The Lincoln Memorial is a monument to honor the 16th American president, Abraham Lincoln. 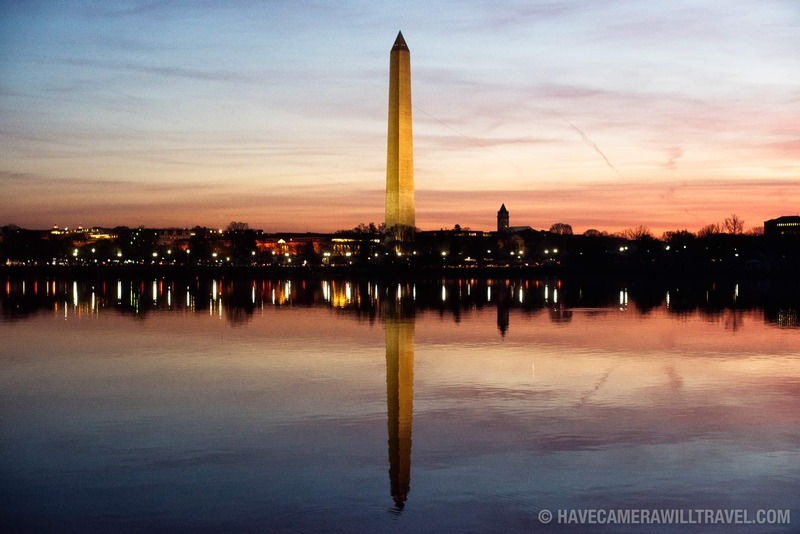 It stands on the western end of the National Mall facing the Washington Monument and US Capitol Building. Who made the Lincoln Memorial? The architect Henry Bacon designed the Lincoln Memorial. The statue of President Lincoln is by sculptor Daniel Chester French. The Lincoln Memorial's construction took eight years. Ground was broken for the foundation on February 12, 1914. It was dedicated on May 30, 1922. How old is the Abraham Lincoln Memorial? The Lincoln Memorial was dedicated on May 30, 1922. What is on the walls of the Lincoln Memorial? The large statue of President Lincoln sits in the center of the memorial. To his right, the text of the Gettysburg Address is etched into the wall. To his left, on the northern wall, is the text of Lincoln's second inaugural address. How many steps does the Lincoln Memorial have? To walk from the Reflecting Pool level to the main chamber takes 87 steps. 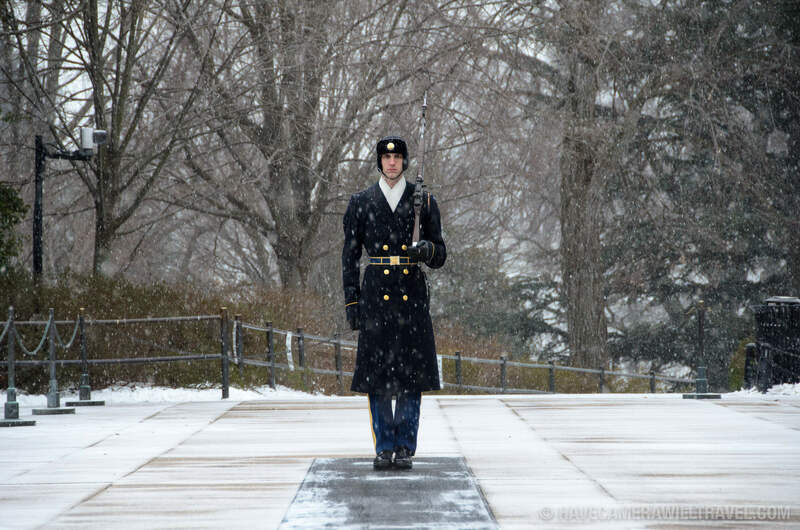 To go from the main plaza area in front of the memorial (between the Reflecting Pool and the Memorial) is 58 steps. During the day and evening there's an elevator you can take up to the chamber (access it from a door to the left of the steps as you're looking at the memorial's front). Is there parking at the Lincoln Memorial? 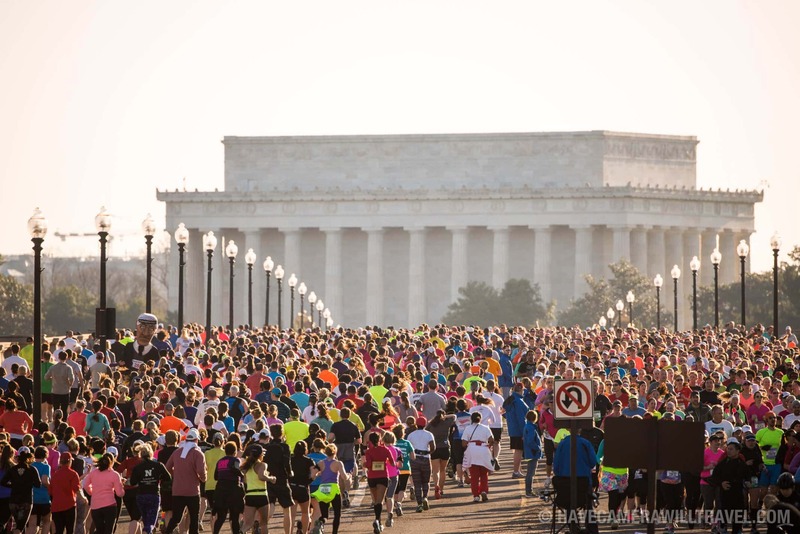 There's no parking immediately next to the Lincoln Memorial, but there is metered on-street parking close by along Constitution Avenue (check signs--restricted parking during rush hours) and along Ohio Drive SW running along the Potomac towards the Jefferson Memorial. There are also three small metered parking lots behind the Jefferson Memorial (Lots A, B, and C) that are accessed from Ohio Drive SW.
What is the closest Metro station to the Lincoln Memorial? The closest Metro stations to the Lincoln Memorial are Foggy Bottom, Arlington Cemetery, and Smithsonian. What hours are the Lincoln Memorial open? The main chamber of the Lincoln Memorial is accessible 24 hours a day, 365 days a year. There is no entry fee. The small museum, restrooms, elevator, and bookshop are open during standard hours during the day and evening but close overnight.